My whole practice has been helping people understand what I do. At its core I practice Nuad Boran. 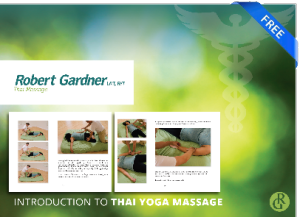 My practice is a mix of Thai massage, yoga, yoga therapy and 13 years of practice on myself and others. I can usually help other pain sufferers because I’ve worked through those same issues in my body and those of my clients during that time. The clinic will allow you to observe for Free, get 30 minutes hands on work for a $40.00 fee and also allow you to do some yoga therapy and stretching while seeing how I work. There are only 10 spots available and you can register using the online scheduler here on the website. What do I do? Something no one else does. Come see and find out why. Table Thai Massage 5/7 What Kind Of Massage Do You Do?